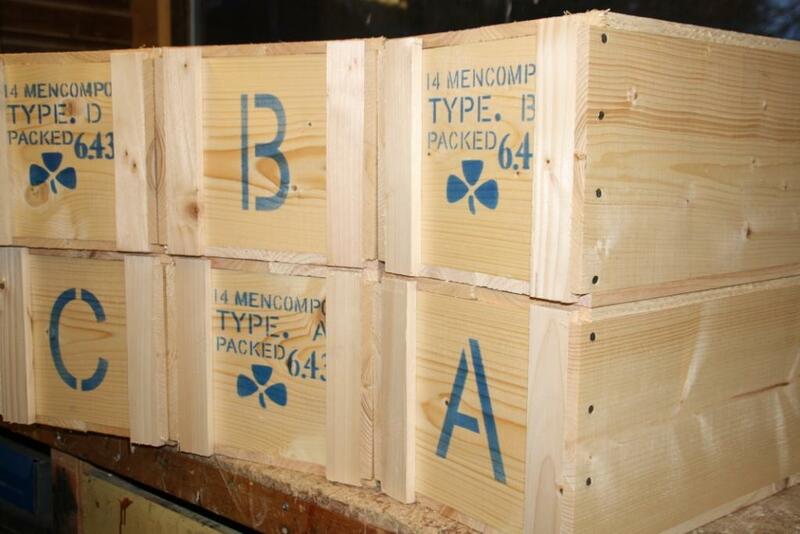 These boxes are copied from an original MkV box, that carried 600 rounds of ball cartridges for Martini Henry rifles. They are made from Ash and have dovetailed corner joints, tapered sliding lid secured by a single brass screw and rope carrying handles. The pictures show a set marked up for .303 ammunition as used during WW1. 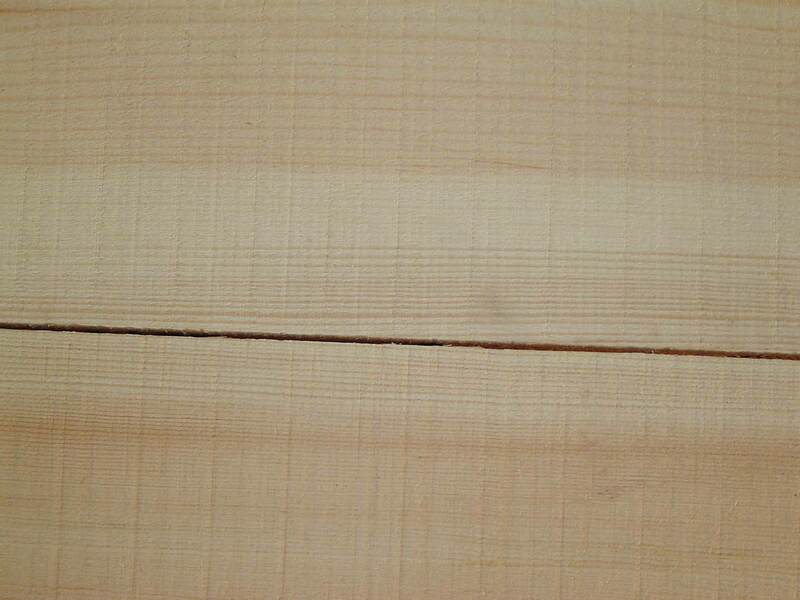 They can be supplied with or without the markings. Price £95.00 each plus shipping. These ration boxes are copied from an original picture. All with removable lids. 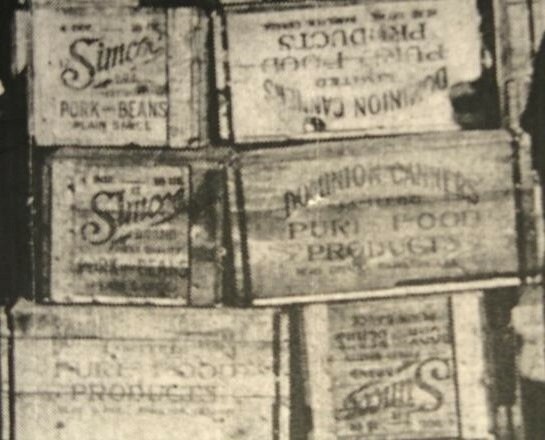 British ration boxes as copied from original pictures, either type A, B, C or D Compo Ration, complete with the blue stencilling. Price £30.00 each plus the shipping. 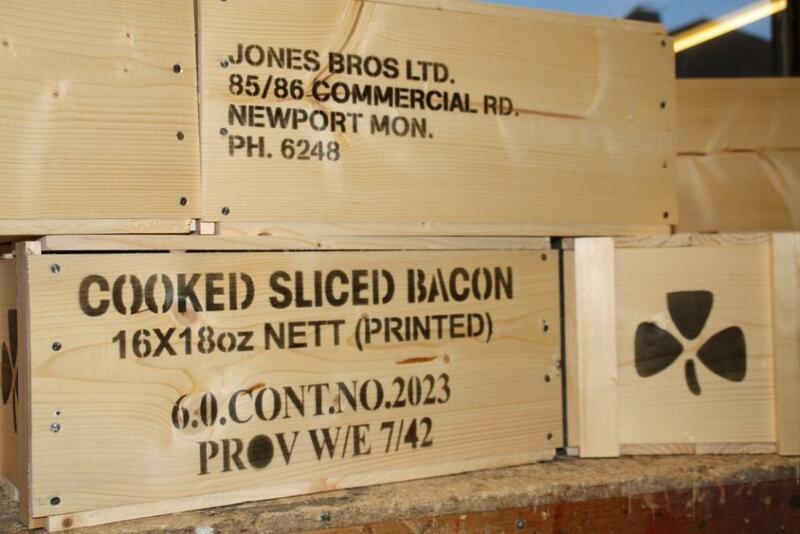 This sliced bacon box has again been copied from an original, similar size to the Compo ration boxes. Price £30.00 plus the shipping.